Come together with fellow EMDR therapists for an hour presentation on this creative technique designed to address early trauma. The morning also includes time for networking and socializing and a light continental breakfast. The registration fee is a VERY low $25 because the goal of the Nebraska EMDRIA Regional Network is to spread knowledge and build connections for a strong EMDR Therapy Community. Sponsored by the Nebraska EMDRIA Regional Network. Click here for the registration form. About the Presenter. Debra Wesselman, MS, LIMHP, is part of the treatment team at the Attachment and Trauma Center of Nebraska in Omaha. 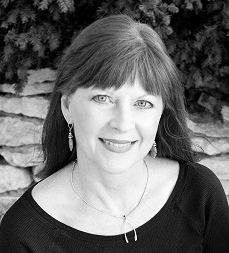 She is a presenter, author, and researcher, and has specialized in treating trauma resolution and attachment problems in adults, children, and families for the past 25 years. Deb is part of the research team that developed the Integrative Team Treatment model for treating attachment trauma in children, and co-author of the treatment manual. She is a certified consultant for EMDR and has been on the faculty for the EMDR Institute since 1998. Ms. Wesselman ahs been invited to present for professional conferences around the United States as well as in Germany, Hong Kong, Costa Rica, The Netherlands, Canada, and Rome.